CCFC and RSC have aligned themselves in a unique situation that has junior players as its key focus. Collingwood City Soccer Club and Richmond Soccer Club have announced the formation of a Community Engagement Program between our two clubs.The purpose is to offer junior soccer players the best of both worlds and allow players a true pathway for what ever level of soccer they choose or desire to play. The venture will oversee football development from MiniRoos through to NPL seniors via a coordinated and shared coaching program, so both clubs football philosophy, coaching methodology and training programs will be identical. The Football Departments of both clubs will be overseen by Rick Wilson as Head of Football, Harry Bingham as Technical Director, Micky Petersen as Program Director, and Rick Mensink continuing as Senior Coach NPL. The program sees all MiniRoos as part of the CCFC program and we will continue to operate in a similar way to how we have been running, but with coaching input from Richmond to allow a smooth transition for talented sub-juniors, who wish to move to NPL at under 12’s. 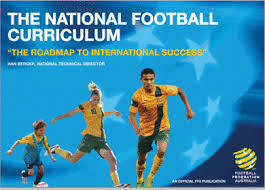 The program design will also allow easy transition to NPL in subsequent years for late blooming players. One key advantage of the setup is that no miniroo player is asked to leave if they are not selected for the NPL team. Many NPL clubs have more players in their under 11 teams than places for under 12's, This means players must leave their club searching for another home. Players who wish to remain at Collingwood will be able to play at the club right through to Senior men. Those who wish to play NPL can transition easily to Richmond if they are capable. Collingwood City will be in essence a "nursery' for Richmond NPL, a safe haven for miniroos and juniors to develop and learn. Richmond will source most of its NPL squads from within our ranks as their first option. We can offer options for our juniors to train with NPL teams and have input from the NPL coaches and the football department. October 30, 2015 by Administrator.